ECBM’s Medical Malpractice experts work with physicians, nurses, hospitals, and health facilities in all 50 states to ensure you and your practice obtains the best coverage and pricing on the market. Unlike most brokers who work exclusively with one carrier, our team gathers quotes from multiple insurance companies that compete for your business. Have claims? 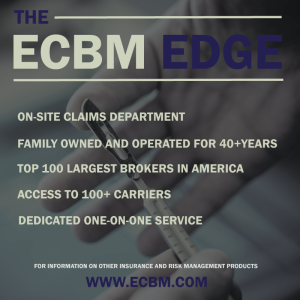 ECBM has access to programs that other brokers do not, giving you the peace of mind knowing that insurance coverage is available to you, regardless of your history. Our policy covers both retired physicians and those who serve in consulting or expert witness roles. Our preferred carrier, MedPro, an A++ rated Berkshire Hathaway company, offers FREE tail coverage for retiring physicians after just one year of insurance. We have an array of coverage options available depending on your needs. Our preferred carrier, MedPro, an A++ rated Berkshire Hathaway company, has a defense rate of over 90%. Combined with ECBM’s claims department, you can rest assured knowing that you’re protected in the event of a claim. MedPro’s Medical Professional Liability insurance policy includes FREE Cyber Liability coverage ($50,000 limits) with the option to buy more coverage at discounted prices. The average cost of a security breach involving protected health information is over $400 per record, making cyber insurance no longer an option, rather a necessity. Our policy covers both retired dentists and those who serve in consulting or expert witness roles. Our preferred carrier, MedPro, an A++ rated Berkshire Hathaway company, offers FREE tail coverage for retiring dentists after just one year of insurance. We have an array of coverage options for Maxillofacial Surgeons depending on your needs. We have access to a variety of coverage options for recent grads and dentists obtaining coverage for the first time. Our Professional Liability and Workplace liability is available to CRNAs, PHYSICIAN ASSISTANTS, and NURSE PRACTITIONERS, as well as accompanying staff members. OCCURRENCE and CLAIMS MADE coverage available. ECBM’s on-site Claims Department fights for coverage on your behalf in the event of a claim. Unlike most brokers who pass their clients off to their insurance carriers to fend for themselves, we see the claim through until a check is in your hand. Our commitment to our clients is why ECBM has an over 95% retention rate, compared to the industry average of approximately 80%. In addition to Medical Malpratice, ECBM can insure other aspects of running a medical practice or facility. Our insurance experts can guide your practice administrators in choosing the insurance coverage that minimize your risk. Having a sound policy that covers the entire practice is paramount, as medicine is a highly litigious industry. Option to purchase limits above the $50,000 included in the policy to protect against losses associated with breach of protected health information. The recent trend in healthcare mergers- in an attempt to reign in out of control costs- has triggered a host of lawsuits levied against medical Directors and Officers citing anti-trust laws. D&O insurance will defend against these costs. 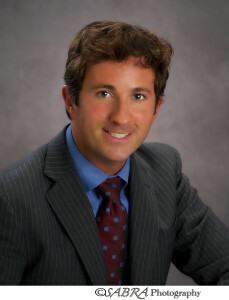 Employment Practices Liability Insurance protects against employee allegations, such as wrongful termination, wage and hour disputes, discrimination, harassment, or retaliation. ECBM’s on-site Claims Department argues for coverage on your behalf in the event of a claim. Unlike most brokers who pass their clients off to their insurance carriers to fend for themselves, we see the claim through until a check is in your hand. A member of our claims department will be your point of contact during the claims handling process, acting as your advocate so that you can do what you do best: saving lives. We also have physicians on hand to assist our claims department in arguing for coverage- a perk most brokers do not offer. At ECBM you’re not just a policy number, and our commitment to our clients is why ECBM has an over 95% retention rate, compared to the industry average of approximately 80%.